tour starts this weeeeeek! got yr tix? This band is one of the best live shows! First saw them open in Birmingham for Lake Street Dive. Own show in Atlanta and last night in Athens! Happy to see again! Such a great time and very good venue. Helpful, and courteous staff. Band was spot on. So goood! 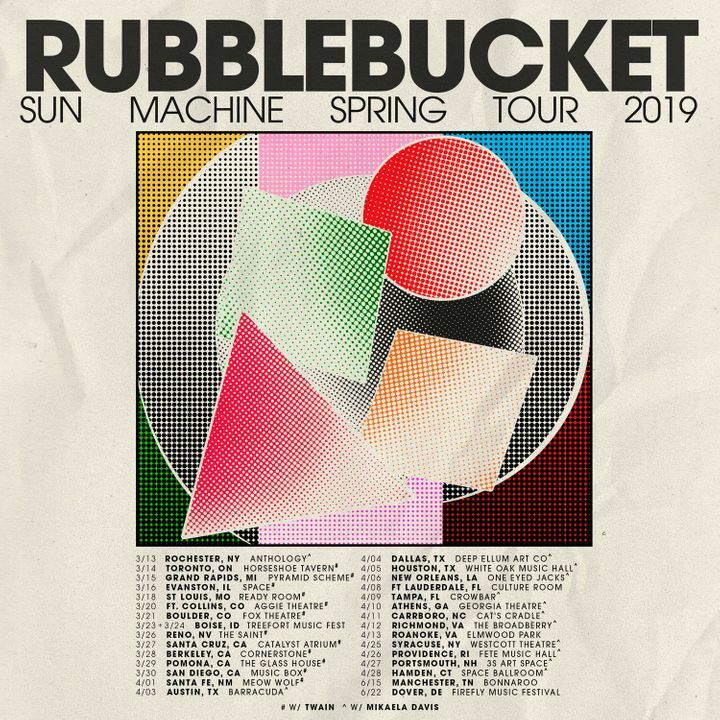 Rubblebucket’s sound and dance made me forget my stresses. It was also great taking my son to his first concert. He loves them, too. I agree with Lauren McKenzie. Best show i’ve seen this year. These are true artists. Totally dedicated to pleasing their audience. I will go out of my way to see them again. Alex & Kalmia and all of their extended family are the children of the revolution. They will reallocate the great unwashed’s proclivity for trite mediocrity and they shall reignite a ubiquitous love of life and illuminate a pathway to inspiration that consequently renders a paradigm shift in aural frequencies and ushers forth unpredictable realms of creativity. Thusly I have tasted the new renaissance and the flavors therein are that of the Rubblebucket. Absolutely love these guys, and the show last night was amazing. Great sound at the Wonder as well. Can’t wait to see them again!